There seems to be a lot of benefits with beetroots, especially the organic ones, apparently, beetroots are a rich supply of iron and vitamins! Quite the right veggie for a woman, my mom used to nag a lot for me to have beets as a kid, but for some strange reason, I never liked beetroots, though there is this one special Srilankan curry my mom used to cook with pineapples and beets which were yummy! (Yes, I know I’ll get the recipe soon lol). Anyways, to cut it short, I was quite hungry this afternoon and was wondering what I could make easily with the stuff I already had in my kitchen. I was craving for a bruschetta and obviously didn’t have the french bread but instead had some brown bread. 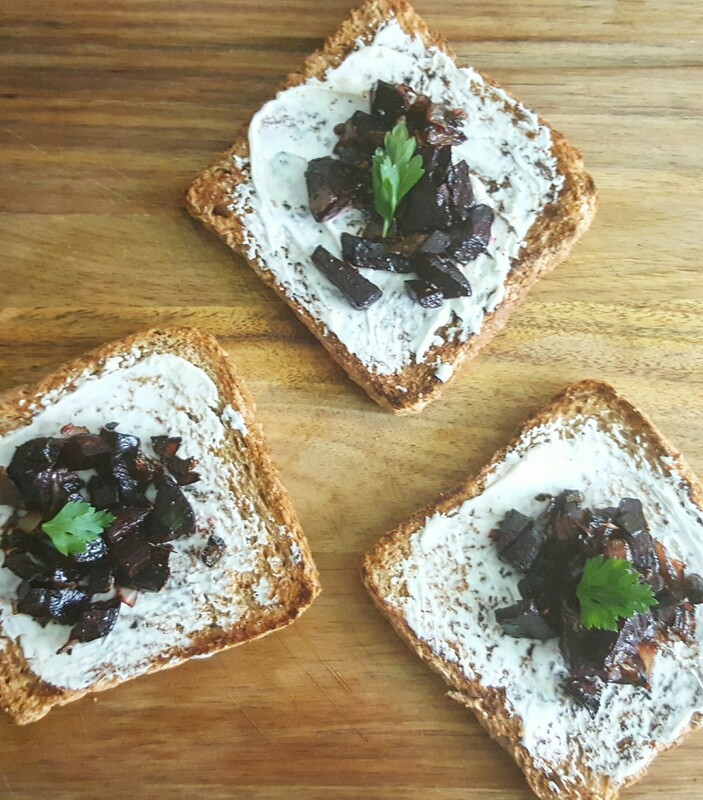 And I noticed I still hadn’t used my organic beets, and then voila the idea of a ‘Beet Bruschetta toast‘ was born! A quick and easy bruschetta toast. 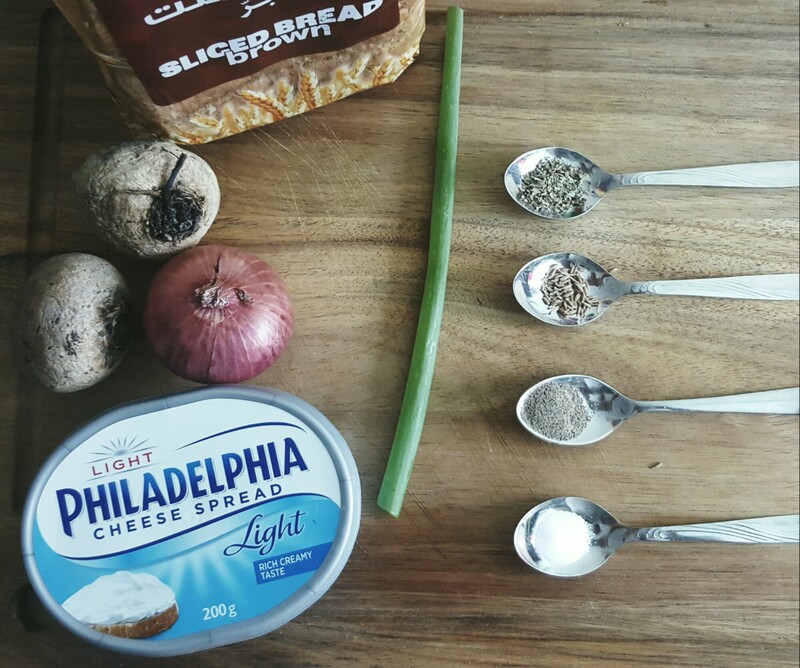 Once the bread is toasted well, rub a (half cut) garlic pod onto the front side of the toasted bread. Apply the cream cheese on the garlic-rubbed the side of the toast, and a dollop of the cooked beets and add a coriander leaf on top.